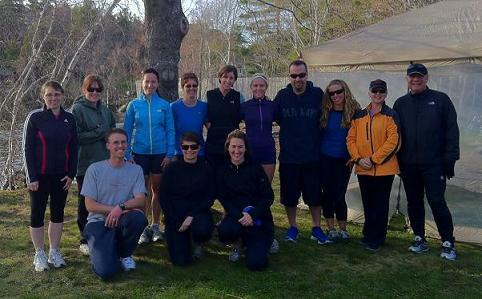 The Bridgewater Triathlon Club's 2012 16 week summer practice series started on Thursday May 3rd at the Fancy Lake Picnic Park. It was a record turnout for the practice and all indications are that this will be the busiest year yet in the club's ten year history. For the second year, the club is offering the 'My First Triathlon' program. Pictured above are the participants for 2012. Under the watchful eye of coach Tammy, they will all swim, bike and run ... completing their first triathlon. 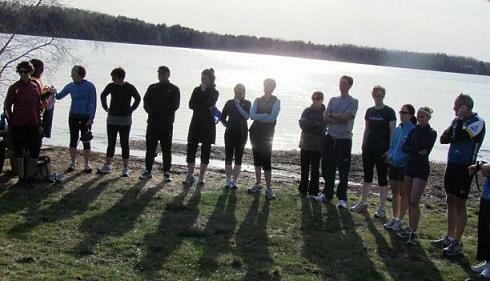 The Bridgewater Triathlon Club provides a safe and supportive environment for new and returning triathletes. We also host the annual Riverport Duathlon.